For matching curtains, click here. Comforter set made of cotton. 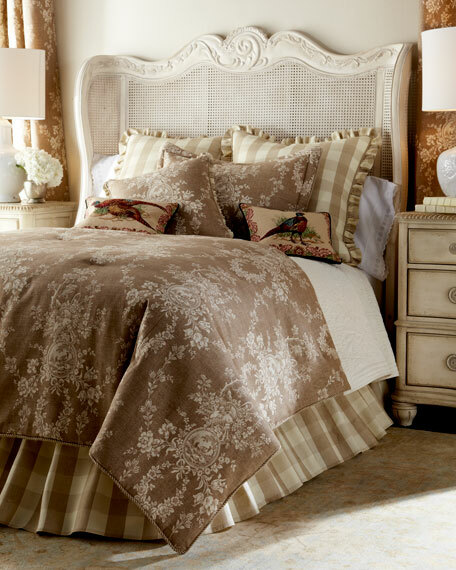 Set include toile comforter, two standard toile shams, and checked dust skirt with 18" drop.